We've all wondered about using medications past their expiration dates. Is it ever safe? How important are these dates? And how should we dispose of expired medications? Most medications have an expiration date between 12 to 60 months after they are manufactured. If a pharmacist puts your medication into another container, that date will be even shorter and is reflected in the beyond-use date. The reason for this is that both expiration dates and beyond-use dates take into consideration the handling and storage factors of the medication. If your medication is moved to another container or mixed with something else, this may shorten the length of its potency and safety, which results in a beyond-use date that differs from the expiration date. Conversely, if your pharmacist gives you the same bottle the manufacturer sent the medication in, there likely won't be a beyond-use date, just the expiration date the manufacturer put on the label. This is true for over-the-counter medications as well. How Important Is the Expiration Date? The importance of the expiration date differs a bit depending on the type of medication it is, as well as how it has been stored. One study of medications that had been stored for decades showed that most of them were still at 90% potency after all that time. 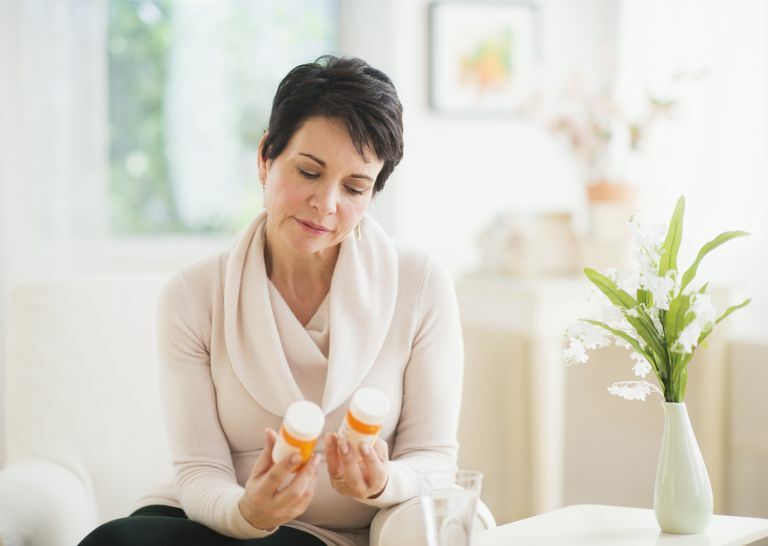 Another comprehensive study done by an independent group called The Medical Letter looked at the safety of expired medications and found that many medications are safe and still at around 90% potency for at least five years after their expiration date. However, this does not apply to liquids, which are not as stable. The Medical Letter recommends that if a liquid medication looks cloudy or discolored, smells funny or looks like it has moisture inside, it's time to get rid of it. This also does not apply to Epi-Pens, where the epinephrine begins to break down after the expiration date. Proper storage in a cool, dry place also helps maximize the potency of medications. They should never be stored in bathroom medicine cabinets or near heating elements or stoves. Should You Use Expired Medications? "Wisdom dictates that if your life does depend on an expired drug, and you must have 100% or so of its original strength, you should probably toss it and get a refill, in accordance with the cliché, 'better safe than sorry.' If your life does not depend on an expired drug, such as that for headaches, hay fever, or menstrual cramps, take it and see what happens." See if your community has a "take-back" program to bring medications to a specific location. This is the best option if it's available. Give your expired or unused medications to authorized Drug Enforcement Administration (DEA) sites. Visit the DEA's website for more information. If you can't do either of these and there are no disposal directions on the package, take the medication out of the original packaging and mix it with something like used coffee grounds, kitty litter or dirt. Put this mixture in a sealed container or plastic bag so it can't leak and throw it away. Altschuler, R. (2002, September 9). Do medications really expire? Hambleton, L. "Drugs whose expiration date has passed should generally be avoided, experts say." The Washington Post, January 2, 2012. Scutti, S. "What Your Pharmacist Can't Tell You About Drug Expiration Dates: 'It's Complicated'." Medical Daily, July 15, 2015. "How to Dispose of Unused Medicines." U.S. Food and Drug Administration (2015).